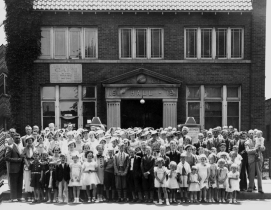 On May 21, 1931, a group of men met with the representatives of the Northern Illinois District of the Missouri Synod at the Sovereign school house on Broadway for the purpose of organizing a Lutheran congregation in the eastern part of the city of Rockford. The name "Redeemer" was chosen. The first service was conducted on Pentecost Sunday, May 24, 1931 at 2:00 pm at the I.O.G.T. Hall at 1015 3rd Ave. which was rented as a place of worship. Fifty communicant members and a total of 95 souls attended. Pastor William H. Medler of Joliet was the organizing missionary, and served the congregation for the first five months of its life. The Rev. E. C. Kieninger was appointed by the mission board to move to Rockford and serve Redeemer congregation until the congregation would call a permanent pastor. He delivered his first sermon on October 11, 1931. On June 4, 1933, the voters of Redeemer congregation met in special session and called Kieninger to be Redeemer's permanent pastor. 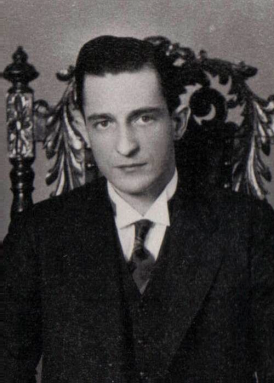 He announced his acceptance of the call after the morning service on June 25, 1933. He was officially installed as pastor of Redeemer congregation on July 30, 1933. Redeemer congregation was officially accepted as a member of The Lutheran Church Missouri Synod at the Northern Illinois District Syndical sessions at River Forest, Illinois, June 23-30, 1933. Since the day of organization the members of Redeemer congregation considered the building of their own house of worship. However, due to the prevailing economic conditions in the nation, very little was done. 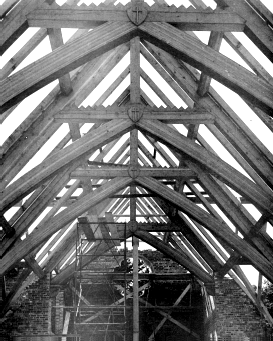 In 1933 and 1934 a building fund was established. A building committee selected the present property located at, 16th Street at 8th Avenue, as the church site. Mr. Karl Bliese, the congregation's representative, purchased the property in September, 1936. Mr. Herbert Brand, a church architect from Chicago, was chosen to be the architect of our building. The firm of Kempert and Krueger of Freeport, Illinois, was chosen by the building committee to erect the building. 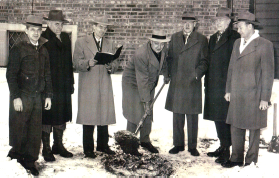 On March 7, 1938, the congregation assembled, at the site of the new church for a brief ground-breaking service. Pastor Kieninger officiated. Mr. Chas. Kelley, chairman of the Building Committee, turned the first spade full of earth. The comer-stone was laid on May 22, 1938, seven years and one day after date of organization. The new Church was dedicated on September 11, 1938. In 1943 Pastor Kieninger received a call from a sister congregation in St. Louis, Missouri and after prayerful deliberation asked to be released. He preached his farewell sermon on Sunday June 27, 1943. The Rev. Edwin C. Beversdorf from Iron Mountain, Michigan was called. After prayerful deliberation he announced his acceptance and was installed on October 3, 1943. 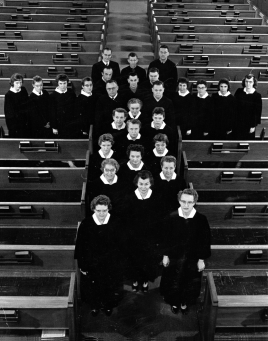 In August, 1950 Redeemer congregation took another step forward. It was decided to broadcast the early morning worship service over the facilities of station WROK radio in Rockford. On October 15, 1950 the first worship service, was aired to Rockford and the surrounding area. As the church was blessed and membership grew, the need for a new church building became more and more apparent. Ground for the new Church building was broken on January 3, 1951. On January 16, (Epiphany). Mr. Herbert Brand had again been selected as architect and the Holm-Page Construction Company of Rockford was given the general contract. 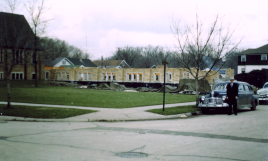 On May 6, 1951 the cornerstone was laid. 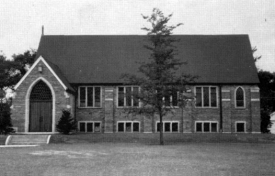 By December 16, 1951, the building had been completed, and dedication services were held. 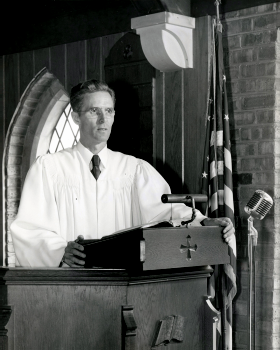 As the congregation grew, the first assistant pastor was called, and in 1957 the Rev. Waldemar F. Hischke was installed. He served unti 1961, when he accepted a call to Whitehall, Michigan. That same year ground was broken for the youth building. In 1962, the Rev. Wesley Toepper, a graduate of Concordia Seminary in St. Louis, was installed as the new assistant pastor. Rev. Toepper served until 1964, when he returned to St. Louis. The congregation chose to call Pastor Hischke back as associate pastor. He accepted the call, and served until 1969, when he was called to serve in Hamel, Illinois. After a year, in 1970, the Rev. Wilbur Zielke was called, and served until his departure in 1972. It was July of 1973, when the congregation called the Rev. Robert H. Rub, Jr., who was then serving in Wilmington, North Carolina. It was in October 1973 that PastorRub arrived in Rockford with his family. He was installed on Sunday, November 4 he preached his first sermon on November 11. Over the years, Redeemer had a hand in training many men for full time service to the Lord. Nine vicars served a year each under Pastor Rub's guidance as a part of their training. Members enjoyed meeting the new vicars and their families, and helping them both move in at the beginning of their year, and move out to go back for their final year at the seminary. It was a service to the Lord and to His Church to be able to provide training for future pastors. One vicar, Pastor Esala, stayed on at the end of his vicarage to serve as Associate Pastor, leaving in 1986 to start a new mission in Vernon Hills, Illinois. Shortly after that, in 1986, Pastor F. Michael Gallagher was called from the graduating class at St. Louis as our new Associate Pastor. He served for eight years before leaving shortly after Easter in 1995. 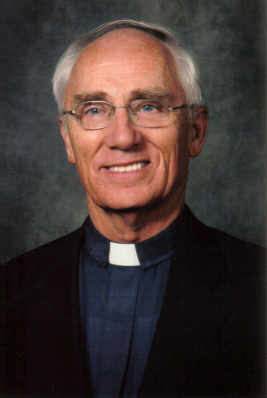 Since that time, until his retirement on May 22, 2005, Pastor Rub was the sole pastor at Redeemer, though he had the help of visitation Pastor Richard Berg for about 11 years, and was greatly helped also by having the Rev. Paul Bruns, who after many years of serving as a missionary in Africa, along with his wife Ruby had returned home to Redeemer as an active leader and member. Following a fund drive that began in late 2004, Redeemer launched a building project entitled, "Reaching out with the Gospel." The master plan called for a new, ground-level narthex or welcome center, with an elevator. The welcome center was completed and dedicated in June 4, 2006, as we celebrated the Lord's kindness to Redeemer in its 75 years of life. Pastor Rub retired on May 22, 2005, after serving Redeemer for over 31 years. Arrangements were made for Redeemer to be served by an intentional interim pastor, Rev. Paul Krause to guide the congregation through an assessment and transition process, and prepare them to call a new pastor. Under the guidance of Pastor Krause Redeemer called the Rev. Stephen Klemp of St. Joseph, Mo. After prayerful consideration Pastor Klemp accepted the call. 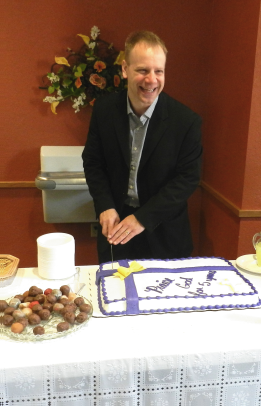 He was installed as Redeemer’s Pastor on March 18, 2007. Since then Pastor Klemp has helped develop Area 38 and the Keith Creek Neighborhood Association (see outreach). With God's guidence, Who knows what the future will bring? Pastor Robert H. Rub Jr.